On Jan. 29, the Pennsylvania Game Commission approved regulations allowing hunters ages 12 to 17 to participate in the mentored hunting program for a maximum of three years. Previously, Pennsylvania law only allowed anyone 11 years of age or younger and 18 years of age or older to use the program; those ages 12 to 17 were not eligible. The commission passed the rule change unanimously. The intent of the commission is to make mentored hunting available for all ages starting with the next license season, which begins July 1, 2019. Pennsylvania was the first state to adopt a Families Afield-style mentored hunting program for youth in 2006, and has been a leader in mentored hunting license sales ever since. In 2013, the Pennsylvania legislature passed a law allowing the game commission to open mentored hunting to all ages. The commission then approved mentored hunting for adults. This latest action opens up mentored hunting to all ages. 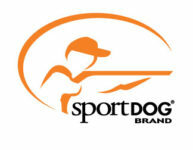 The Sportsmen’s Alliance, and the other Families Afield partners (National Shooting Sports Foundation, National Wild Turkey Federation, National Rifle Association and Congressional Sportsmen’s Foundation), have successfully championed mentored or apprentice hunting in 41 states since the program was launched in 2006. The result has been more than 2.2 million licenses sold, many to suburban and urban people, many of which are women and girls.